Oh you sly dog, Moriarty. 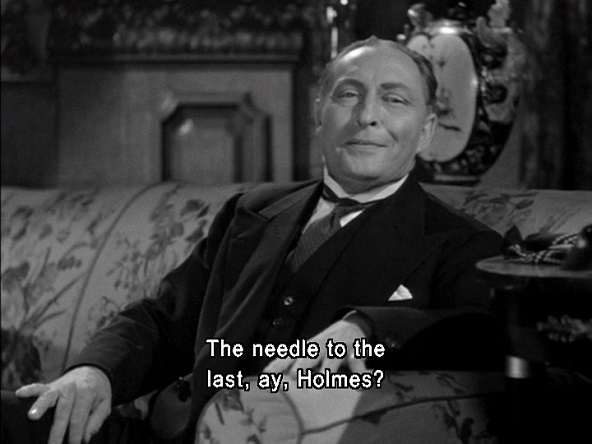 You’re probably wondering what the secret weapon is in Sherlock Holmes and the Secret Weapon (1943). Well, I won’t keep you in suspense. It’s a bombsight. Why they misspelled Moriarty’s name in the credits is a bigger mystery. Perhaps they just didn’t know any better.